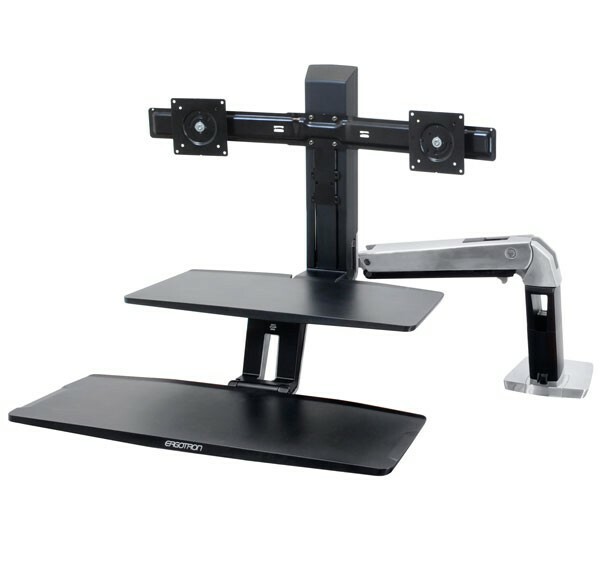 Sale Price: $592.99 + Free Shipping! 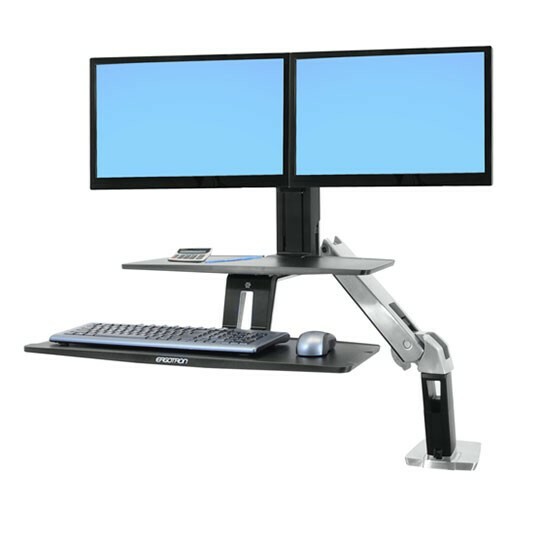 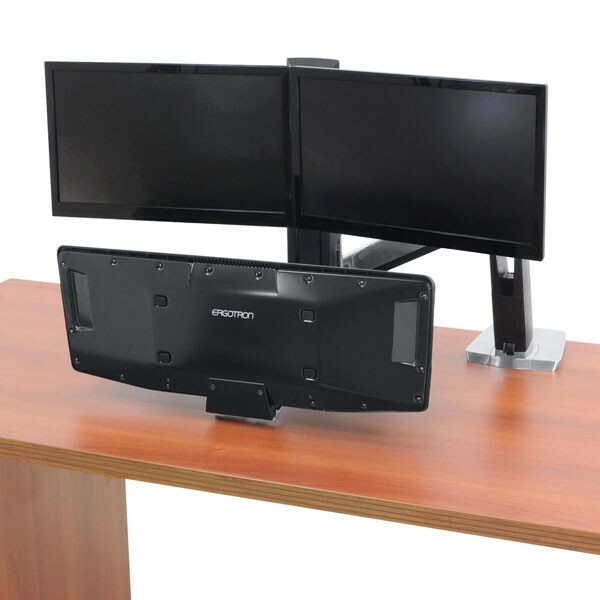 If you are looking for a quality constructed workstation that can be utilized at various heights, look no further than the Ergotron WorkFit-A Dual Desktop Height Adjustable Workstation. 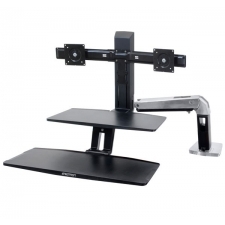 This station’s strength lies in its ability to be repositioned to fit the user. 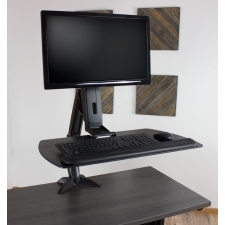 The slight tilt in the keyboard tray is ergonomically proven to reduce strain on the hands and wrists. 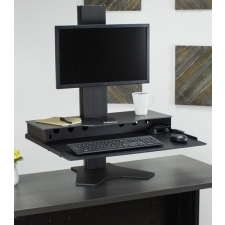 This is perfect for the data entry professional or transcriptionist who spends all day at the desk. 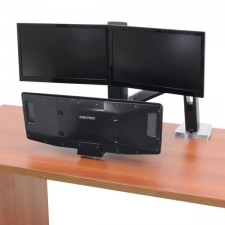 It also features integrated cables, allowing you to keep wires out of sight during use. 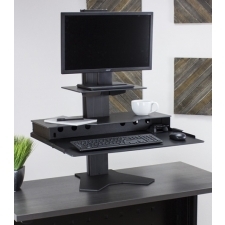 With so many great features, you’re sure to enjoy this workstation whether you decide to sit or stand.